My research group at DuPont Central Research interacted with several Dupont Operating Divisions including Medical Products (later DuPont Merck Pharmaceuticals) and Agricultural Products, where we focused on the structure determination of key drug and plant herbicide targets for structure-based compound design programs. 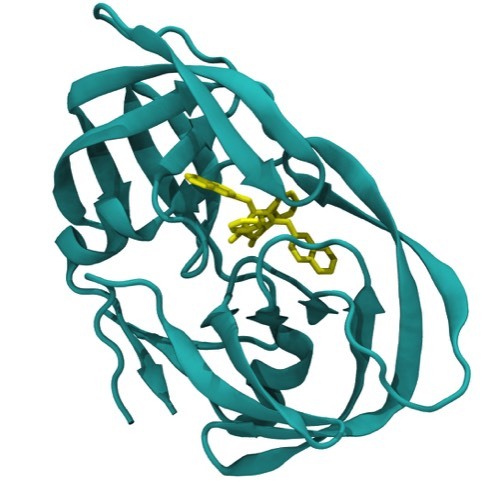 We extensively studied the structure and ligand binding energetics of streptavidin, where observations on biotin binding motivated the design of symmetric urea inhibitors of HIV protease that were preclinically evaluated by DuPont Merck Pharmaceuticals. I subsequently organized the Structural Chemistry Group at the newly established Sterling Winthrop Pharmaceuticals facility in Collegeville PA, and later founded 3-Dimensional Pharmaceuticals (3DP) in 1993. 3DP developed an extensive tool set for drug discovery that initially focused on integrating combinatorial chemistry and structure-based drug design, but later grew to encompass diverse cheminformatics tools as well as high-throughput, label-free, screening technology (ThermoFluor). 55. Computational Challenges in Structure-Based Drug Design. 72. Crystallographic and Thermodynamic Comparison of Natural and Synthetic Ligands Bound to Streptavidin. P.C. Weber, J.J. Wendoloski, M.W. Pantoliano, and F.R. Salemme J. Amer. Chem. Soc. 1992; 114: 3197-3200. The first study that attempts to understand the structural basis and dissect the free energy components of multiple ligands bound in a common binding site. 76. Structure-Based Design of Synthetic Azobenzene Ligands for Streptavidin. P. C. Weber, M. W. Pantoliano, D. M. Simons, & F. R. Salemme J. Amer. Chem. Soc., 1994; 116: 2717-2724. 79. Enhancing the Drug Discovery Process by Integration of High-Throughput Chemistry and Structure-Based Drug Design. T.L Graybill, D.K. Agrafiotis, R. Bone, C.R. Illig, E.P. Jaeger, K.T. Locke, T. Lu, J.M. Salvino, R.M. Soll, J.C. Spurlino, J. Subasinghe, B.E. Tomczuk, F.R. Salemme Molecular Diversity and Combinatorial Chemistry: Lbraries for Drug Discovery; ACS Monograph; American Chemical Society: Washington, DC 1996; 16-27. 80. The Integration of Structure-Based Design and Directed Combinatorial Chemistry for New Pharmaceutical Discovery. Bone, R., & Salemme, F. R., Structure-Based Drug Design, Veerapandian, P., Ed. ; Marcel Dekker, Inc.: New York, 1997; 525-539. 81. Serendipity meets precision: the integration of structure-based drug design and combinatorial chemistry for efficient drug discovery. F.R. Salemme, J. Spurlino, J., & R. Bone Structure 1997; 5: 319-324. 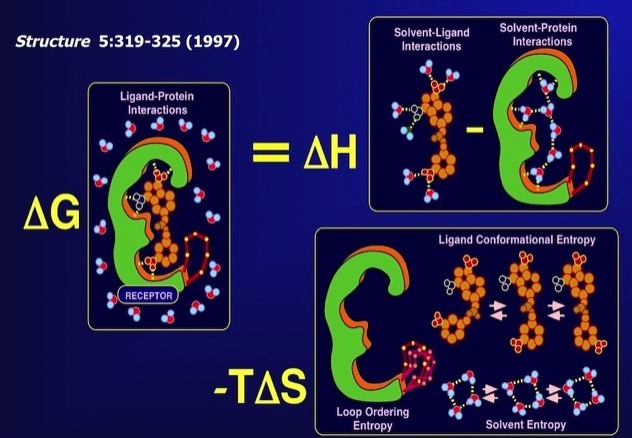 A consideration of the free energy components associated with ligand binding and how they relate to the structure-based drug design. 82. In vitro evaluation and crystallographic analysis of a new class of selective, non-amide-based thrombin inhibitors. Lu, T., Tomczuk, B., Illig, C. R., Bone, R., Murphy, L., Spurlino, J., Salemme, F. R., Soll, R. M., Bioorg. Med. Chem. Lett. 1998; 8(13): 1595-1600. 83. Expanding the envelope of structure-based drug design using chemical libraries: application to small-molecule inhibitors of thrombin. Illig, C., Eisennagel, S., Bone, R., Radzicka, A., Murphy, L., Randle, T., Spurlino, J., Jaeger, E., Salemme, F. R., Soll, R. M., Med. Chem. Res. 1998; 8(4/5): 244-260. 84. Serine proteases-directed small molecule probe libraries. Dhanoa, D. S.; Soll, R.M. ; Subasinghe, N. Wu, Z., Rinker, J., Hoffman, J., Eisennagel, S., Graybill, T., Bone, R., Radzicka, A., Murphy, L., Salemme, F. R., Med. Chem. Res. 1998; 8(4/5): 187-205. 85. Advances in diversity profiling and combinatorial series design. Agrafiotis, Dimitris K.; Myslik, James C.; Salemme, F. Raymond, Molecular Diversity 1999; 4(1):1-22. 86. 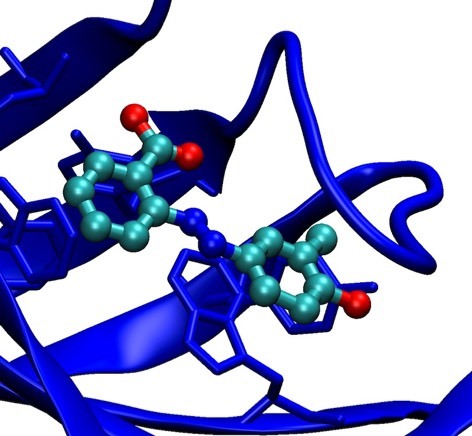 Amidinohydrazones as Guanidine Bioisosteres: Application to a New Class of Potent, Selective, and Orally Bioavailable, Non-amide-Based Small Molecule Thrombin Inhibitors. Soll, R. M., Lu, T., Tomczuk, B., Illig, C., Fedde, C., Eisennagel, S., Bone, R., Murphy, L., Spurlino, J., & Salemme, F. R., Bioorganic & Med. Chem. Lett. 2000; 10:1-4. 87. 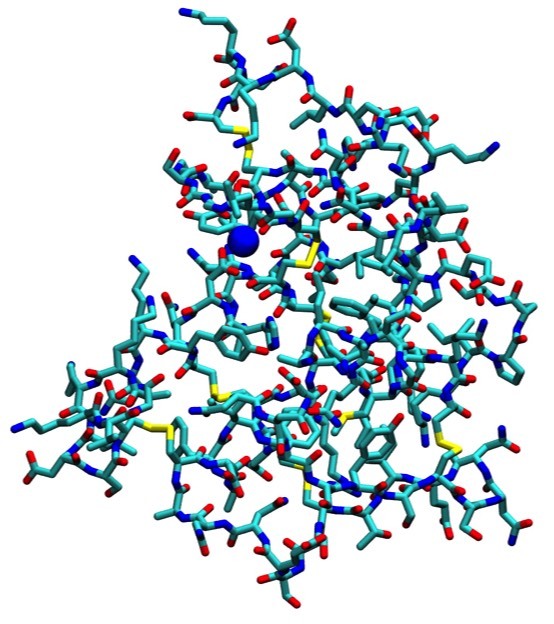 Non-Peptidic Phenyl-Based Thrombin Inhibitors: Exploring Structural Requirements of the S1 Specificity Pocket with Amidines. Lu, T., Tomczuk, B., Bone, R., Murphy, L., Salemme, F. R., & Soll, R. M., Bioorganic & Med. Chem. Lett. 2000; 10:83-85. 88. Structure-Activity and Crystallographic Analysis of a New Class of Non-amide-Based Thrombin Inhibitor. Lu, T., Soll, R. M., Illig, C., Bone, R., Murphy, L., Spurlino, J., Salemme, F. R., & Tomczuk, B., Bioorganic & Med. Chem. Lett. 2000; 10:79-82. 90. Combinatorial Informatics in the Post-Genomics Era. 93. Chemical Genomics as an Emerging Paradigm for Postgenomic Drug Discovery.